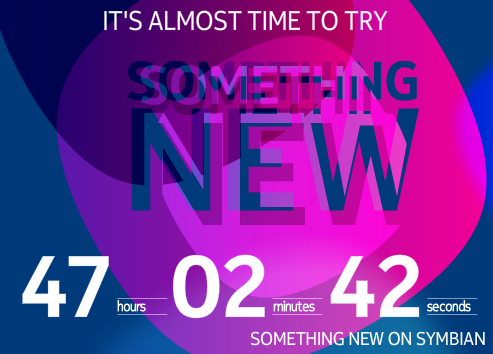 A countdown placed on Nokia’s official Facebook page teases there is “something new on Symbian” coming the mobile giant in just under 48 hours, but thanks to an unfortunate oversight the company or one of its representatives, it is already clear that the announcement will be Symbian Belle related. Nokia has said that it will continue to invest in the Symbian ecosystem, as it attempts to cater for low to mid-range markets with its Symbian-powered smartphones, despite the fact the company has heavily committed itself to Microsoft’s Windows Phone platform. The company recently launched Symbian Anna, the first update for the first-generation of Symbian^3 smartphones including the Nokia N8, C7, C6-01 and E7. Belle is the next update, following an alphabetical naming process. Confirmation of the launch came by way of MyNokiaBlog, which simply viewed the source of the Flash-element embedded on the Nokia Facebook page and saw that it was hosted on a Facebook-centric subdomain on the Nokia site, inside a folder named “Belle”. It is also possible that Nokia will unveil devices utilising the company’s new handset naming process; the Nokia 600, 700 and 701. We will have to wait just under two days to find out.